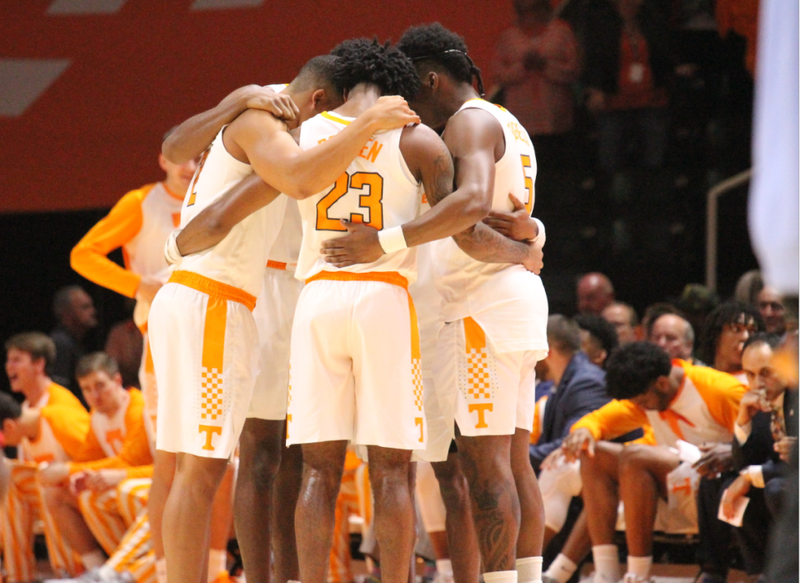 Tennessee finally returns home after a two-game road trip last week, and it will mark only the third game in Thompson-Boling Arena the Vols have played as the top-ranked team in college basketball. No. 1 Tennessee (20-1, 8-0 SEC) welcomes back Cuonzo Martin and his Missouri Tigers (11-9, 2-6 SEC) on Tuesday night for a late tip-off. The Vols are riding a 16-game winning streak, the longest win streak in school history. Missouri defeated Vanderbilt in their last outing, but they’ve only won two conference games so far this season. Tuesday’s game will mark the first time former Tennessee head coach Cuonzo Martin has coached in Knoxville since he was the head coach of the Vols. The last time Martin coached in Thompson-Boling Arena, it was actually another Tennessee-Missouri game. His Vols downed the Tigers 72-45 to close out the 2013-14 regular season on March 8th, 2014. Martin won his first game coaching against his former school last season when the Tigers handed Tennessee a 59-55 defeat in Columbia. This season, the Vols got revenge and defeated Missouri 87-63 on the road. The last time these two teams met, Tennessee came out sluggish and allowed Missouri to hold a lead for a large portion of the first half. But the Vols closed the half on a 24-4 run over the last seven minutes, and they held a 42-31 edge at halftime before running away with the game in the second half. Missouri is one of the better three-point shooting teams in the SEC, though their offense overall doesn’t put up a lot of points or take care of the ball effectively. The Tigers have made 37.6 percent of their threes as a team this year, and they’ll look to take advantage of a Tennessee defense that has had issues guarding the three lately. Over the last seven games, teams have made 39.4 percent of their threes against Tennessee. Dating back to the Vols’ last match-up with Missouri, seven of the last eight opponents UT has faced have hit eight or more threes against the Vols. Aside from that, however, the advantages are in Tennessee’s favor. The Vols are first in conference play in field goal percentage, free throw percentage, points per game, assists, blocks, turnovers, and steals. The Tigers are 10th or worse in conference play in field goal percentage, total rebounds, points per game, and turnovers. All-time, Tennessee is 7-7 against Missouri and has won two-straight against the Tigers. The Vols have also won four consecutive games against Missouri in Knoxville. Here’s everything you need to know about tonight’s match-up. And if you can’t make it to the game, here’s how you can watch and listen to the Tennessee vs. Missouri game.